We have the expertise and experience to handle your flood damage 24/7.Don't hesitate and call us right away so we can get started on your restoration. Heavy rainfall during certain periods of year can result in large amounts of water entering the home. With standing water, the longer it is left, the more it is absorbed into the structure of your home which can cause expensive or even permanent damages. Natural materials like fabrics or woods can often be the most at risk from exposure to excess moisture so reaching out for professional assistance is essential. Over the years, we have honed and developed a comprehensive strategy to help residents with flood damage in Springdale. Our first move on arriving at a job site is to secure the structure and ensure your safety. This could involve shutting off potentially water-logged electrics, testing that floors or ceilings are structurally sound or lose debris. The number one action is to remove standing water as quickly as possible. SERVPRO can pump standing water out of your home and into an open sewer point by using submersible gas-powered systems. We can also check your crawlspaces as well as your subfloor to see if there is any excess moisture residing there and pump it out too. After the flood removal of standing water, it is time to assess the state of your contents and structural components. If you have been away from home for an extended period, it may be that your property is suffering from prolonged exposure to moisture. Since water naturally migrates from wet to dry, a long exposure can result in items taking on excess amounts. SERVPRO can remediate waterlogged contents by extracting as much of it as possible before conducting thorough dehumidification. Water moves from wet to dry, so placing drying equipment in the affected area overnight can be a useful measure for drawing water out of floorboards, soft furnishings, and hard floors. We can test if the process is successful by using moisture meters to understand whether appropriate dryness is achieved. In an emergency, you need a focused strategy to get your home back to its best, contact SERVPRO of Fayette / Springdale at (479) 888-2403. Northwest Arkansas Ozarks click here information. When flooding has affected your living space, contact SERVPRO for water removal and remediation services. Call right away. When overland flooding affects your Springdale home, it brings home the reality of living in an area with several waterways subject to significant overflow. If you live in parts of the city near Spring Creek-Osage Creek, Brush Creek, or Clear Creek rapidly rising water can catch you unaware. Heavy rainfall can raise floodwaters past 10 feet in 6 or fewer hours in our region of Northwest Arkansas. If you are in its path, we can help. Flood damage in Springdale needs a fast response. Failure to extract the water and dry out the structure of your home within the first 48 hours can expose your dwelling to the potential of mold damage. At the same time, persistently damp building materials also weaken, crumble, and warp. Waiting too long to extract the water and dry out structural components dramatically increases the need for more costly repairs. Demolition and replacement become necessary when restoration might have been sufficient just hours earlier. SERVPRO can respond to your flooding crisis even when others in the community suffer the same stress. Our disaster team can reach out for increased resources if needed at times when many members of our community are hurting from flood-related issues. When you work with our well-qualified and equipped team your flood damage remediation project is a priority. Our team arrives with fully-stocked service vehicles, ready with the equipment needed to start removing water, cleaning contaminated surfaces, and drying out the structure. An experienced crew leader quickly assesses your home’s unique flooding scenario and develops a plan our SERVPRO technicians put into action. Commercial grade pumps and extractors pull water out of your home rapidly. 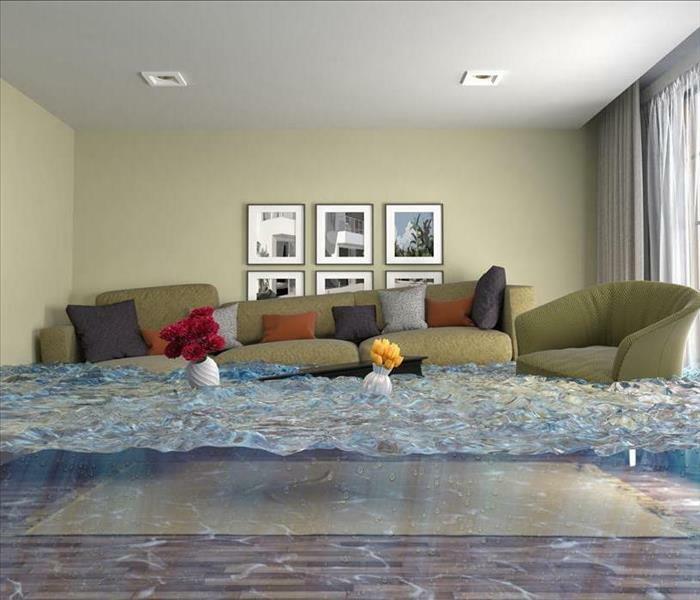 If the flooded space is populated with furnishings, household goods, or other stored items SERVPRO technicians might pack all or some of the articles out to make water removal easier and ensure the contents get the specialized cleaning and drying treatments needed to restore them to preloss function and appearance. We evaluate the water trapped inside your home for contamination, containing it for disposal according to local regulations if necessary. After SERVPRO extracts and discards the water, we use special cleaning agents, disinfectants, and equipment to sanitize and dry out your home. SERVPRO of Fayetteville / Springdale is ready to help the communities we serve when flooding occurs. Call us at (479) 419-5544 for assistance if your home fills as the streams overflow. Click here for more information about Springdale. SERVPRO's pack-out services allow you to move your furnishings and other items to our storage facility. Reduce the chaos of commercial water damage mitigation in Fayetteville by considering a pack-out of furnishings, electronics and other equipment, and documents. Choosing to clear the flooded areas of your commercial property makes planning for and implementation of water extraction strategies more efficient. The contents removed also receives the treatments needed to return to function and appearance. Heavy spring rains and overflow from higher elevations contribute to the need for professional water removal in your Fayetteville business. Packing up and moving out contents is often a smart initial step. When commercial spaces are free of inventory, stored items, and other portable items the removal of excess water becomes more straightforward. Without the added humidity-load of saturated contents, it is easier and quicker to accomplish structural drying. SERVPRO uses a structured Contents Claim Inventory Service (CCIS) protocol to ensure the items we pack out are inventoried thoroughly and tracked throughout the process. Lists of packed contents for each space, digital photographs of articles removed, and the option of barcoding for speed and accuracy provide safeguards for commercial clients. Insurance claims for water damage need documentation for certain payment. The SERVPRO CCIS establishes the condition of each item packed out, the planned cleaning and drying strategies we believe appropriate, and the results of the treatments completed at our climate-controlled production facility. If an article is not restorable, the need for a replacement is proven. SERVPRO production facility technicians have innovative equipment and specialized training to bring even extensively damaged items back to preloss condition. The resources available to our employees include vacuum freeze-drying systems for documents, books, and photographs. Thermal chambers for electronics and small, easy to control drying spaces for furnishings pull moisture out of dozens of essential artifacts critical to the operation of your business. Industrial washers and dryers and access to dry cleaning services or specialized equipment that cleans and dries soft items set our company apart from traditional cleaning businesses. At your commercial building, our technicians use the freedom granted by cleared spaces to pump out and extract standing water fast. SERVPRO crews then use structural drying techniques taught at IICRC training to make it “Like it never even happened” at your business property before welcoming back the restored packed out items. The final step is business as usual. SERVPRO of Fayetteville / Springdale stands ready to help with every aspect of commercial water removal. Call for a quick evaluation at (479) 419-5544. Broken or clogged gutters can let water damage the foundation of your home. Contact SERVPRO to repair and for other services to prevent flooding. The town of Johnson is in one of the most beautiful places in Arkansas. Our location on the Springfield Plateau, however, does have us at risk for flooding from rain and snow coming off the mountains. It is a risk we accept, but that does not mean we do not plan for it. Preventing flood damage in Johnson means blocking massive floodwaters and sealing areas off from seepage which can lead to more significant problems in the future. After decades in the restoration business, SERVPRO can help any homeowner prepare for the next storm now. Keeping water away is the simplest method to protect your home. 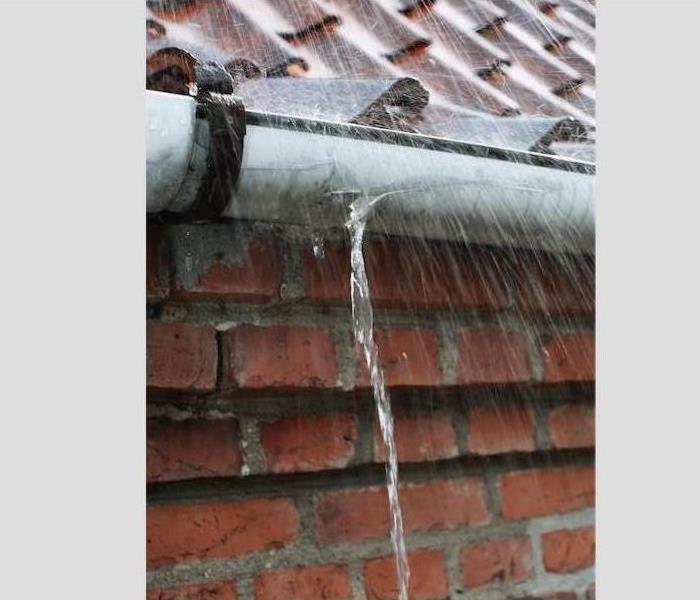 We cannot stop the rain, but we can inspect the rain gutters and drains on your roof and exterior walls. Our technicians repair or replace gutters that have pulled away from the roof, leaving a gap for water to run through. Drainpipes that have broken away from the channels cause the same type of damage, just a foot or two away. In a harsh downpour, hundreds of gallons of water can flow down the side of a home and eat away at both the landscaping and the foundation of a house or apartment building. To protect the foundation walls, we recommend sealing off outer walls and basements. For the exterior, our crew digs out, exposes, and cleans the outside walls. To prevent seepage and leaks, we cover them with a thick coating of rubber cement. It waterproofs the concrete and bricks from the worst storms and does not crack unless the house moves away from the foundation itself. For the interior, we inspect the basement for cracks and use a hydraulic cement compound to seal them. SERVPRO technicians then apply a waterproof, second layer consisting of masonry cement. The two together form an excellent barrier that stops even the smallest amount of seepage into a home. While no method is perfect, repairing your drain system and sealing off the basement are two significant steps in the right direction. For more information about how SERVPRO of Fayetteville / Springdale can help you protect your home from floods, call us today at (479) 419-5544. Restoring your home after a fire can be quite overwhelming, which makes it crucial to locate a qualified professional to assist. Restoring your home after a fire can be quite overwhelming, which makes it crucial to locate a qualified professional to assist. It helps to know that the company you choose to use has an association with the IICRC organization, giving you peace of mind knowing that you made the right choice. The IICRC develops standards for the inspection, cleaning, and restoration industry, which makes it easier for homeowners in Fayetteville to locate a qualified fire damage restoration company when hazards occur on their property. When you find a company associated with this organization, you can rest assured that they can provide you with quality solutions to your problem. Places like SERVPRO exist to give you access to resources that make recovering from fire damage easier, less expensive, and quicker than would be possible otherwise. Insurance companies like working with us because we offer customers with a one-stop solution to every problem that exists, this allows us to perform services for a better price and gives our customers better results. If you are looking for a stress-free claims process, working with qualified professionals dedicated to providing you with fast, efficient fire damage restoration services, look no further. SERVPRO teams are available 24-hours a day, quickly respond to your emergency situation and help you cope with your situation. Our staff can even help you locate temporary housing and help you complete insurance paperwork required for your claim. SERVPRO technicians understand how each type of damage affects another, often leading to a mix of methods to provide you with a full solution. Whether your fire consists of direct-damage or smoke damage that often lingers in hard to reach areas, our technicians can get the job done right. With access to industrial-grade equipment, advanced cleaning methods, and years of experience, you never have to call anyone else. Make the call to SERVPRO of Fayetteville / Springdale to receive the fire damage services you deserve. Our technicians are proud to provide you with quality, effective solutions to emergency situations that occur in your home (479) 419-5544. For more about Fayetteville click here. Mold grows when conditions of moisture and heat in your laundry room or bathroom are right. Contact SERVPRO when you see or smell mold. 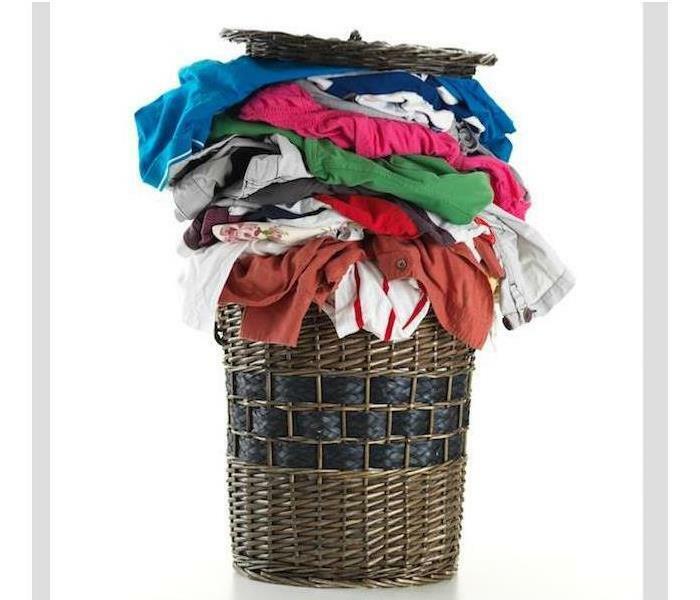 Dirty clothing landing in the hamper is what you expect your children to do, but when that laundry contains wet or damp items, microbes can proliferate inside the dark confines of the hamper. If your hamper rests against a wall in your Fayetteville home, microbes can easily find their way to the wall's surface and spread even more. Using a clothesline can help kill off any microbes infesting your clothing because sunlight is a natural killer of most microorganisms. To further protect your home from mold damage in Fayetteville, it is important to ensure that all line-dried clothing is completely dry before bringing any of it inside. Mildew does not care if damp clothing is clean or soiled – either is suitable and promotes microbial growth. Hanging shirts and slacks while still damp is known as an excellent way to remove slight wrinkling without the use of an iron. However, you should do this in an open area. Closed-off locations such as closets, bathrooms, and the area between an open door and the adjacent wall can slow evaporation and allow mildew spots to form on the garment. Setting aside any items that feel damp when folding clothing before placing it in drawers, and either re-hanging these damp articles or placing them for a short period in the dryer can keep mold from forming. Ironing slightly damp clothing until dry can also help attain an environment that contains fewer mold spores. Additionally, allowing laundry hampers to air out on a sunny day while open can kill mold and prevent strong odors from developing. Clothing can spread mold easily through your home. It is easier to reduce the microbial population found on clothing than it is to perform mold remediation after mold damage takes hold of your home. Once mold begins to thrive, you need a company like SERVPRO to carry out the steps involved in remediation. Certified in Applied Microbial Remediation (AMRT), our technicians can restore your home's interior to a healthy environment. SERVPRO of Fayetteville / Springdale wants to help you maintain a home free of abnormal levels of mold. From measuring devices that detect microbial activity levels to air scrubbers that remove pollutants and irritants in addition to mold particles and spores in the air, we have everything needed to contain and clean the area affected by mold damage. Whenever you find mold growth in your home, call us at (479) 419-5544. 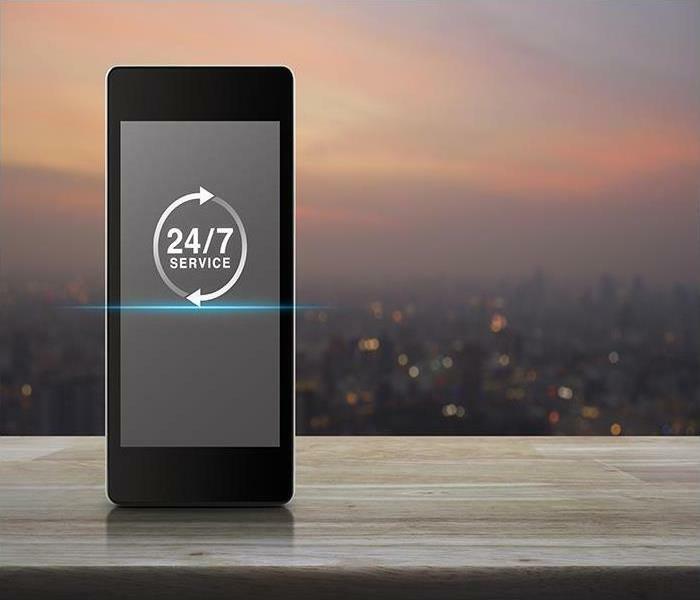 We answer our phones 24/7, every day of the year. 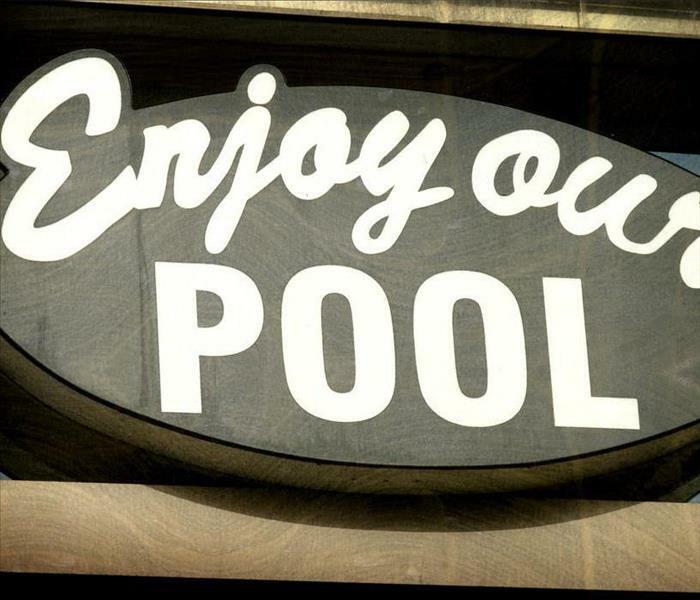 Your Fayetteville hotel hosts guests all year round, and in the competitive market of accommodations, a mismanaged incident on your property could provide the kind of bad press to keep these visitors from returning. Water loss incidents threaten not only the immediate room in which they occur but also adjacent spaces in all directions. Whenever situations occur like toilet overflows or plumbing breaks within a room, reaching out to professional restoration technicians like ours can help to keep the damage contained and guests blissfully unaware of what has happened. While you cannot predict the time that you might need water removal services for your Fayetteville hotel, the best solution is to remain prepared to contact professionals like our team whenever disaster might strike. With our fast response to emergencies 24/7, our SERVPRO technicians can work quickly to ensure that other areas of your property do not experience these same water damage effects. Ask us about our ERP Emergency READY Profile Plan to help prevent and mitigate physical damages to your building. With a reputation to worry about, you need to focus mostly on providing a quality stay to all of your guests that could become impacted by an emerging situation like this. Fast extraction and drying equipment like our team arrives with can ensure that not only does the damage stay within the confines of the affected room whenever possible, but that we do not have excessive tear out and replacement to complete the restoration. Our goal is to be invisible to the occupants of the rooms. With saturated elements like carpeting and faux wood flooring, we have specialized equipment to help dry out these affected areas and eliminate the possibility of secondary effects like mold and mildew growth. For carpets, our weighted extraction equipment can force moisture to the surface for removal by our high-powered vacuums, air movers, and dehumidifiers. For the wood flooring, we can utilize our injecti-dry system to pull moisture from planks until it reaches the desired moisture content to protect the flooring material. When you need water removal services and expert drying for your hotel, every second counts. Reach out to our SERVPRO of Fayetteville / Springdale rapid response team at (479) 419-5544. We're Faster To Any Size DIsaster. Visit our park right here. SERVPRO's Business in Fayetteville is to Keep Your Business In Business. We're Faster To Any Size Disaster. Every day that your Fayetteville thrift shop is open, you have a steady flow of foot traffic into your business. People look to your second-hand store to provide quality bargains and deals on the items they are looking for, but more importantly, expect you to be open. When water loss incidents occur in the store, which can happen as readily as a sprinkler head breaking off in the ceiling, you need a fast response from qualified professionals to get your doors back open quickly. From the time that the water loss incident begins in your Fayetteville store, whether it is a broken pipe or a malfunctioning sprinkler system, you need to react quickly to get professional water removal services on the way. Our SERVPRO team is available 24 hours a day with a fast response to emergencies that threaten your commercial property with effective extraction and drying equipment. When our team arrives at your business, we can establish the full scope of the damage and the repairs needed to keep the situation from getting worse. We do offer plumbing repair through our licensed general contractors, ensuring that once the pooling water gets extracted and the affected areas dried, that you are no longer at risk for further water damage from the same compromised pipe. Extraction is important to begin right away when our SERVPRO team arrives at your damaged thrift shop. We can bring in equipment like wet-vacs with extraction wands and portable sump pumps where they can get used. Mopping up the water and sopping up the excess is also an important step for excess water that does not require the full extraction measures. Drying steps to follow can help to protect linoleum or carpeting flooring from becoming irreparably damaged. Water removal in a thrift shop challenges even our skilled technicians. We try to work fast, move around inventory and displays to preserve your investment. When people count on your store being open, make sure that a water loss incident in your building does not keep your doors closed longer than necessary. You can reach our SERVPRO of Fayetteville / Springdale rapid response team 24/7 by calling (479) 419-5544. Here is the official site of this city. You can reach our crew at (479) 419-5544 any time. Fire damages properties in different ways including depositing soot and other residues leaving surfaces blackened. The level of difficulty in removing such residues can be easy or difficult depending what the fire burned, and how intense blaze was, among other factors. The surface affected can also determine the difficulty level. For example, cleaning residues from the ceiling is more difficult than cleaning walls. Professional restoration companies use advanced solutions to improve results. After fire damage in Springdale, residues soil many household items including electronics and fine jewelry. Residues such as soot are acidic so they can corrode the affected items if left in place for long. Cleaning up such valuable materials is tricky because you can damage them in the process. Our SERVPRO technicians utilize specialized equipment such as ultrasonic cleaners to clean non-porous valuables. An ultrasonic restoration cleaner has a pre-soak chamber, ultrasonic chamber, a rinse section, and a drying chamber guaranteeing proper cleaning. When cleaning some sections of the house like the ceiling, you might face access challenges because of the elevation. Residues falling from the ceiling can also soil other areas such as walls and floors already cleaned. It is possible to overcome such problems with better planning and a degree of innovation. Our SERVPRO technicians organize the process so that cleaning starts in higher areas. We also add extension poles to spotting pad holders to ease access and the angle of attack when cleaning up ceilings. Choosing a cleanup method should be done with care since it is possible to harm the surface physically in the process of removing soils. For example, surfaces covered in acoustic tiles can lose their sound deadening properties during cleanup. SERVPRO has developed a unique procedure for cleaning acoustical ceilings known as Peroxide Active Ceiling Cleaning. It is a water-based solution that utilizes stabilized hydrogen peroxide sprayed at 40-60 psi on the affected surface. The method works perfectly on blown ceilings that might deteriorate or dissolve if wet cleaning is utilized. Advanced cleaning solutions help solve many seemingly tricky problems. Call SERVPRO of Fayetteville / Springdale to assist you using such an approach. You can reach our crew at (479) 419-5544 any time. Click here for more about Springdale. Our team is here to take care of your Fayetteville home and restore the flood damage "Like it never even happened." Flooding can cause many problems for your Fayetteville home, the most pressing of which is the high volume of water that you now have through the penetration points. 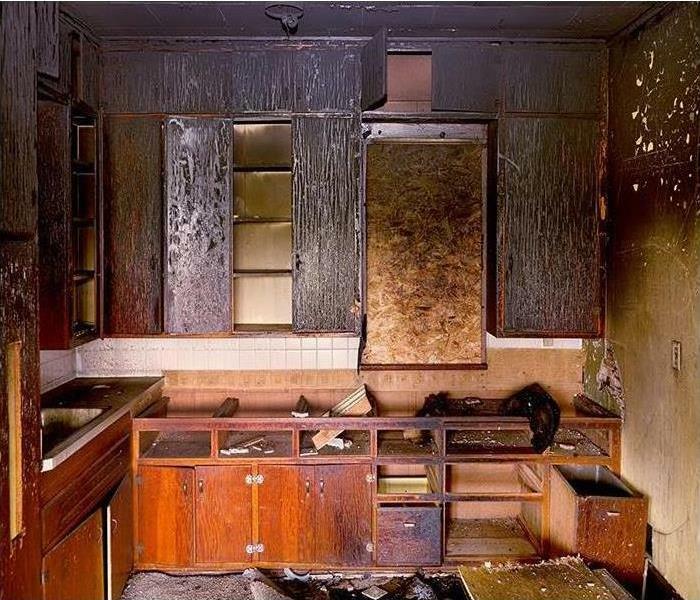 As challenging as this might seem to overcome, the right professional restoration team with the appropriate equipment can begin steps to return your home to its original condition quickly with a fast response to the emergency on your end. As pressing as water removal might be in situations like this, it is not the only pressing need that your property has. 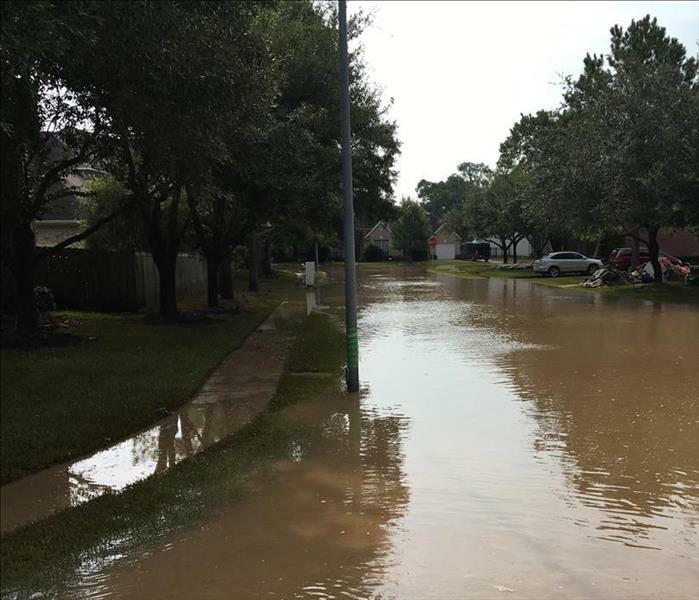 While flood damages can affect your Fayetteville home in different ways, overcoming these effects is not something that the average homeowner has the time, resources, or equipment to do on their own. Your insurance provider can guide you to the information about what your policy covers regarding recovery after a natural disaster like this, but at the bare minimum, many of them offer their policyholders debris removal coverage. Our SERVPRO professionals can do this efficiently, saving you money and time. These steps also help to ensure that later reconstruction and remodeling efforts can occur quickly. Debris removal often gets thought of as literal objects and scrap brought in with the rising waters, but the process is much more comprehensive than that. Our approach offers not just cleaning and extraction of floodwaters but also continues into controlled demolition of affected materials as well. With structural elements exposed, we can disinfect and clean studs, beams, and framework that can get preserved to prevent bacterial growth and bio-hazardous conditions from occurring. It is not advisable for you to attempt debris removal and water extraction on your own following a flood because there is always a high risk of contamination. 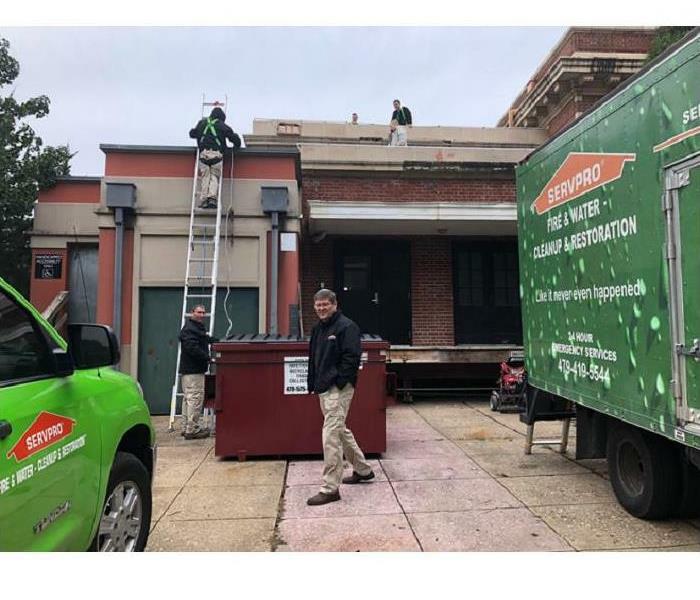 Our SERVPRO professionals have safety equipment and efficient machines designed to extract water quickly and allow our team to get to work on cleanup and demolition efficiently and cost-effectively. 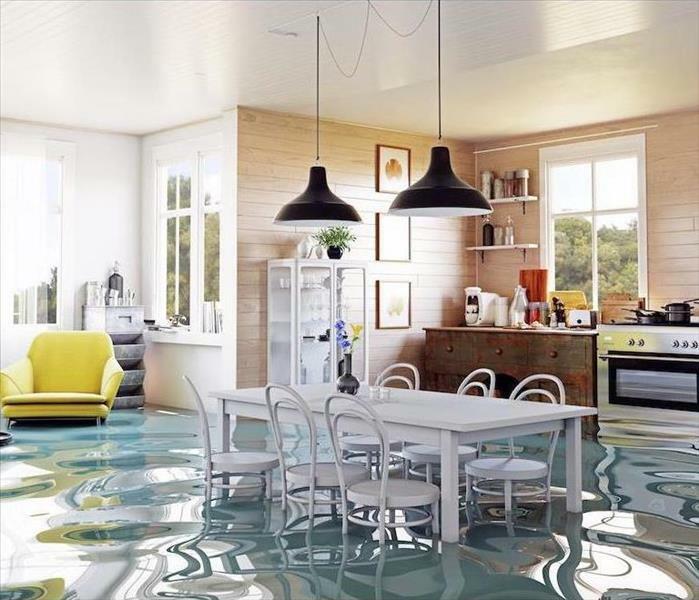 Flooding can present some hurdles to overcome but choosing professionals like our SERVPRO of Fayetteville / Springdale team can make it “Like it never even happened.” Give us a call today at (479) 419-5544. For more on Fayetteville, click here.